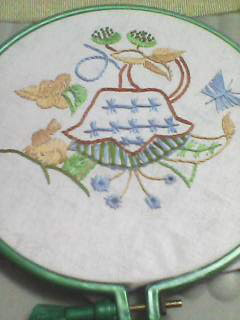 This weeks challenge Tast 2012 week 21 Butterfly chain stitch. This is a new stitch for me. First I was confused on how to wrap the straight stitches but after some trials I have learnt the technique. 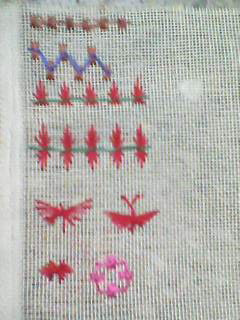 Beautiful stitches and some 'real' butterflies. Very pretty samples. I love the butterflies and the long bars.